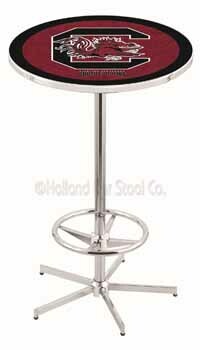 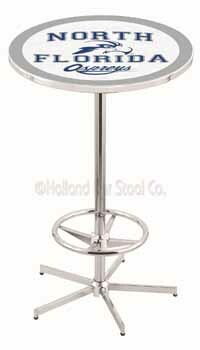 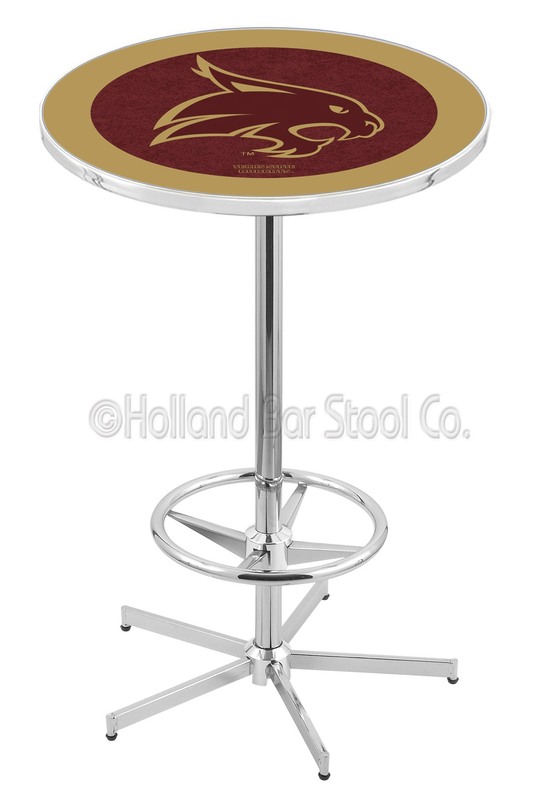 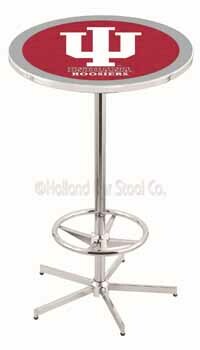 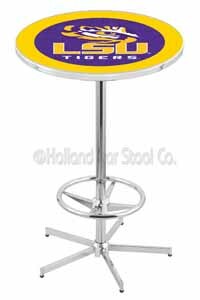 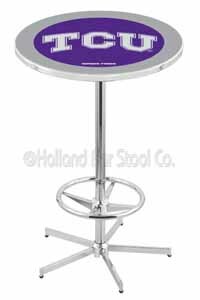 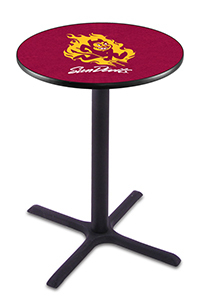 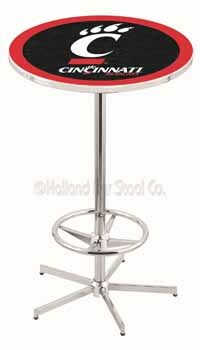 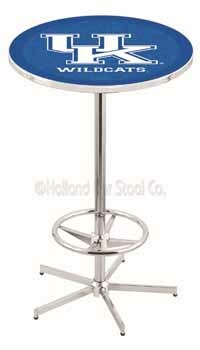 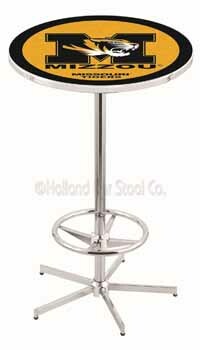 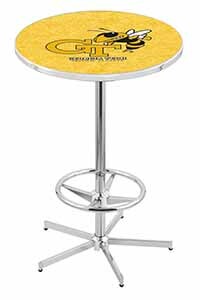 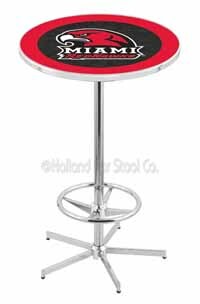 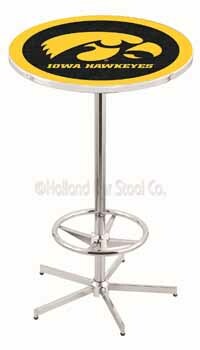 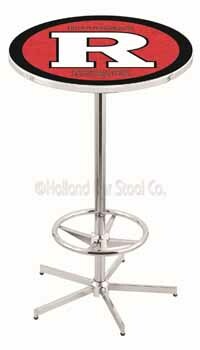 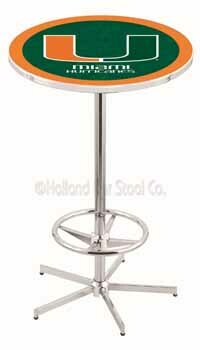 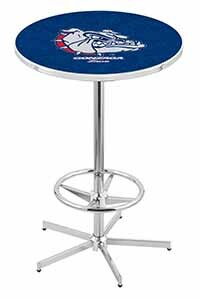 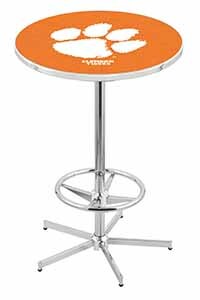 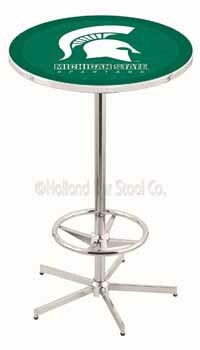 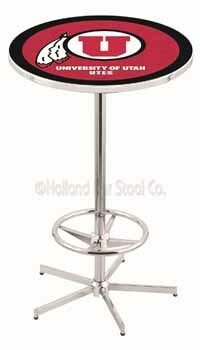 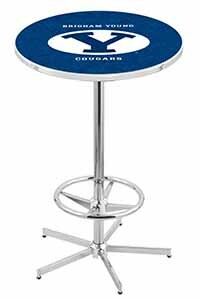 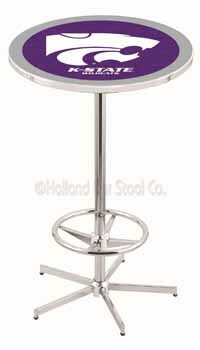 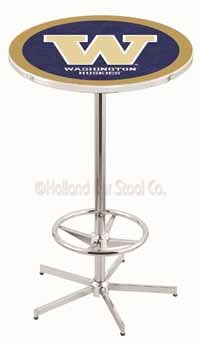 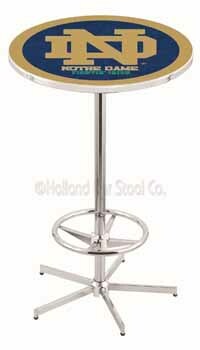 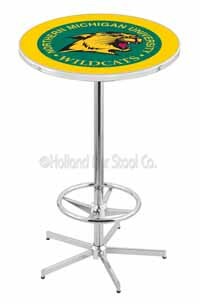 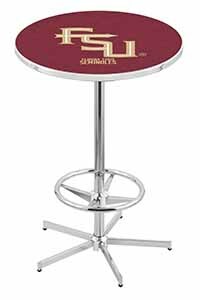 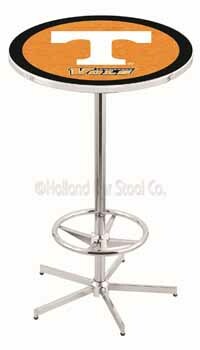 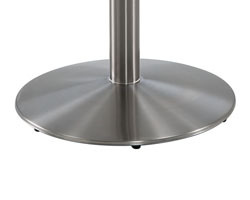 Texas State University Pub Table 100% made in USA, manufactured by Holland Bar Stools. 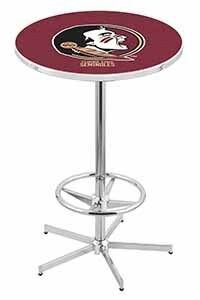 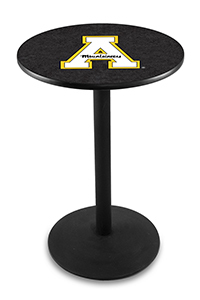 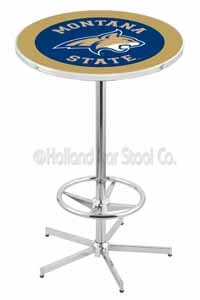 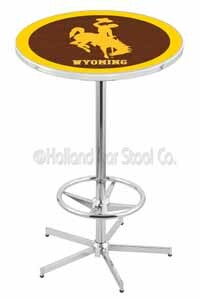 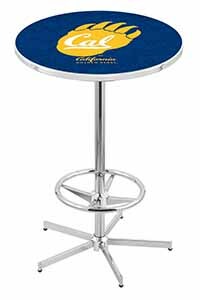 The team supporter will definitely admire your new collection of Texas State Pub Table in your room. The table is made primarily to incorporate your team basics, name and logo. 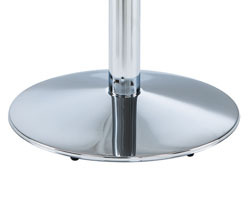 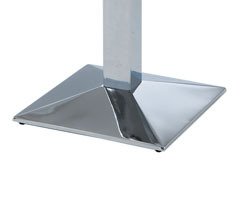 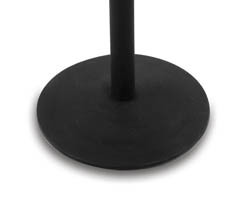 The table is chrome cased or endurance and has a beautiful black wrinkle powder that makes it very striking. 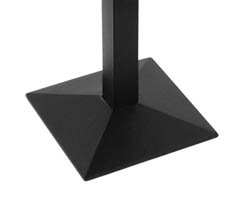 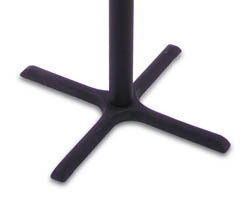 The base is strong to support all weight on the top. 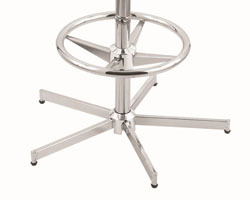 Available in 36" and 42" (in-stock status may vary).